Yet another greatest hits package covering the Bee Gees illustrious career. Whilst I cannot fault any of the song choices, and it is always good to have a refresh of the brothers' hits, this one adds nothing that hasn't previously been done before, and better. This focuses mainly on their 1960s and 1970s hits, so appears to have been assembled mainly for the US market. Of course, in the rest of the world, the Bee Gees continued having big hits throughout the 1980s and 1990s, and into the 2000s, so it is a shame to see the second half of their career largely ignored (other than the UK number one, 'You Win Again'. 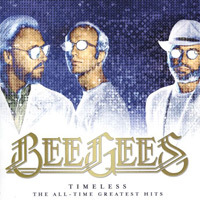 If you haven't already bought a Bee Gees greatest hits compilation, - all the major hits from the 1960s and 1970s are here. Don't buy if you want a full career profile - much better is The Record.